March is Florida Bike Month: Let's Go Biking! March is Florida Bike Month. 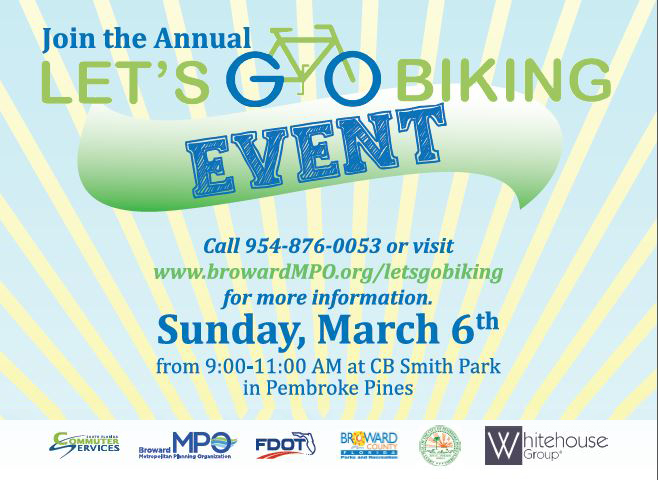 The Broward MPO is celebrating Florida Bike Month with the 2016 Let’s Go Biking event. The event will be held on Sunday, March 6 from 9:00-11:00 AM at CB Smith Park in Pembroke Pines. The event will feature helmet fittings and giveaways, a group bike ride, and a bicycle giveaway. Follow the link for a route map and updates on the event. Thanks to all who attended the 2016 Safe Streets Summit! Presentations from all speakers, photos, and awards all have been posted to the website! Hope to see you all at the 2017 Safe Streets Summit! The purpose of this study is to enhance the transit passenger and bicycle and pedestrian experience, identify congestion and safety improvements, develop short-term recommendations that can be carried in the next 3 to 5 years, and identify longer-term improvements. 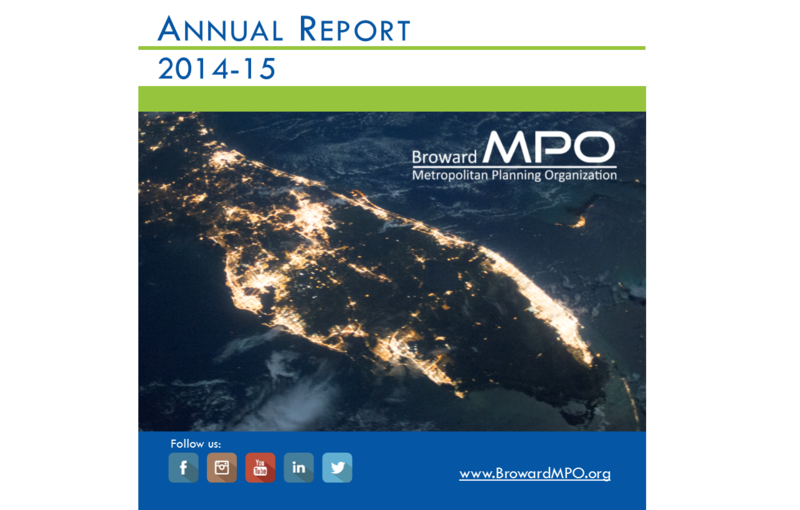 In working to achieve the goals and objectives of our Strategic Business Plan, the MPO has created its first annual report. The report highlights some of the projects and initiatives the MPO has been working on over the past year and seeks to share some of our successes with stakeholders and the public. The Broward MPO, in partnership with the Palm Beach MPO and South Florida Commuter Services, has produced a video that explains what a metropolitan planning organization (MPO) is and how regional transportation projects in Broward get funded. Click on the Read More button to view the video. The MPO has started an important conversation with regional partners about our transportation future. The community conversations we have today will lead us to an action plan and timeline to expand our transportation choices. WHAT ARE COMPLETE STREETS? A complete street is a street where the entire right of way is planned, designed, and operated for all modes of transportation and all users regardless of age or ability. Pedestrians, bicyclists, transit riders, and motorists of all ages and abilities must be able to safely move along and across a complete street. Complete streets make it easy to cross the street, walk to shops,catch the bus, and bike to work. The Broward MPO’s vision is to transform transportation in Broward County to achieve optimum mobility with emphasis on mass transit while promoting economic vitality, protecting the environment, and enhancing quality of life. 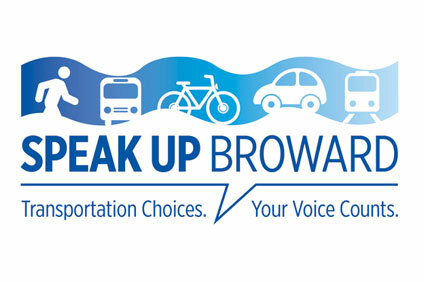 The mission of the Broward MPO is to influence the expenditure of federal and state funds to provide a regional transportation system that ensures the safe and efficient mobility of people and goods, optimizes transit opportunities, and enhances our community’s environmental and economic well-being.